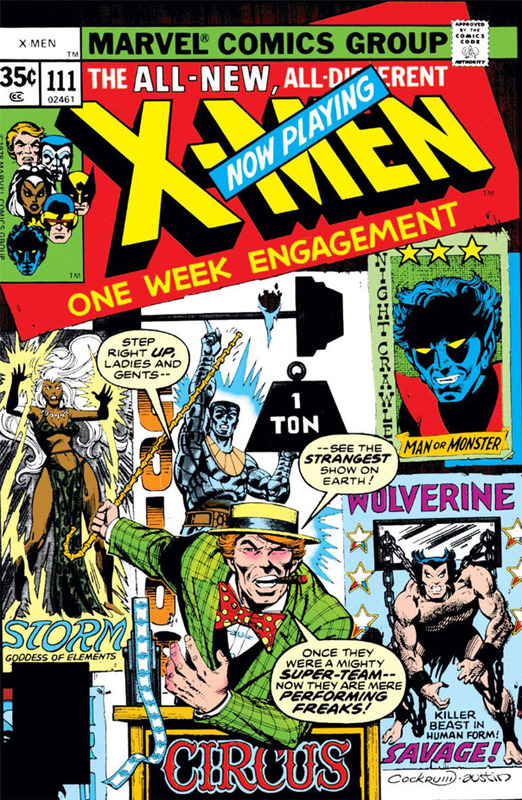 If you're looking for an X-Men story that put a twist on the characters and essentially presented them out of character, one that comes to mind is an issue from mid-1978, which took the "new" X-Men and placed them in an entirely new light--as circus hands and performers. And who doesn't love a circus? Probably not the X-Men at this point, since they've been conscripted into this carnival against their will--though we're not yet clear on the circumstances. 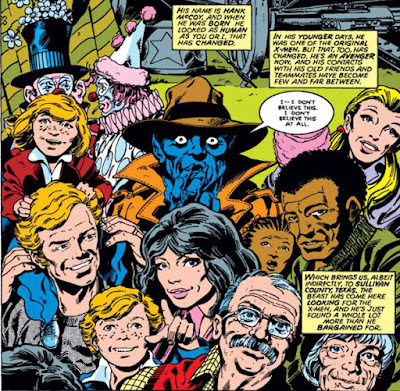 When the team mysteriously drops off the face of the planet, Hank McCoy, the Beast, investigates their deserted mansion and uses their still-operating mutant-locating device, Cerebro, to track them down. Yet the state in which he finds them falls squarely into the category of "the unexpected"--to say the least. The Beast more or less acts as a guide for the reader as this strange story unfolds, with writer Chris Claremont and artist John Byrne using his absence from the X-Men and his sparse knowledge of their current line-up as an excuse to conduct a step-by-step investigation, rather than just having him corner the first X-Man he sees and grill them with questions. 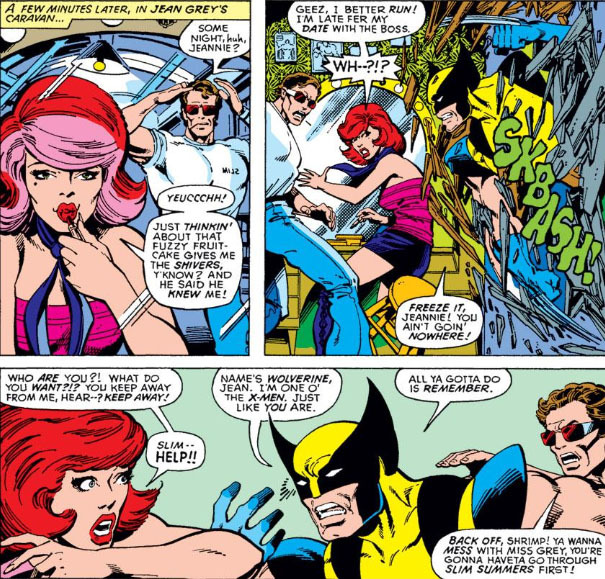 It's a sensible approach, since, as Hank himself notes, any force that's able to capture and render helpless the entire X-Men team isn't one to be taken lightly; yet the investigation could have proceeded on that note of caution alone, rather than tempering Hank's actions by the notion that he simply isn't sure these are the X-Men and wants to be certain before he acts. Frankly, that ship has already sailed, if he does the math. 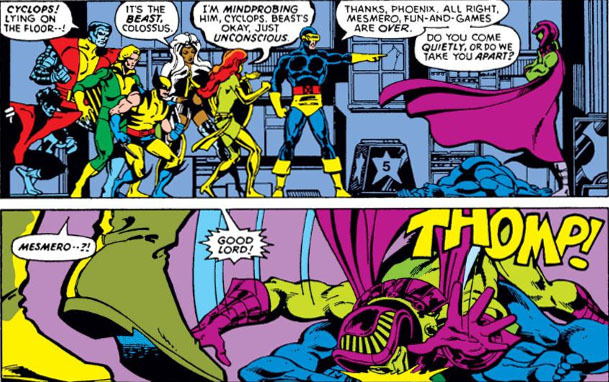 While Hank has never met the new X-Men, he demonstrates that he's at least familiar with them, including their code names and their abilities; in addition, he certainly knows Banshee, and his Cerebro search for the team led him to this very spot. What more assurance does he need? 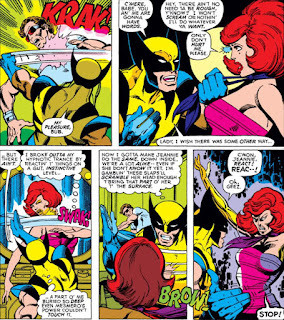 At any rate, he obtains the confirmation he's looking for when he spots Jean Grey in a trapeze act, where she's uniquely suited as a performer. But instead of answers, Jean's state of mind only raises more questions for Hank, who is a total stranger to her. And things only get worse when Hank encounters Scott Summers, who, like Jean, also has no recollection of his former life and whose cries of alarm effectively shatter Hank's subterfuge. With his cover blown (the story is being generous here, as far as Hank's wardrobe disguising his appearance--if you put a hat and a trench coat on, say, a gorilla, and put him in a crowd, who isn't going to realize that this "person" is a gorilla? 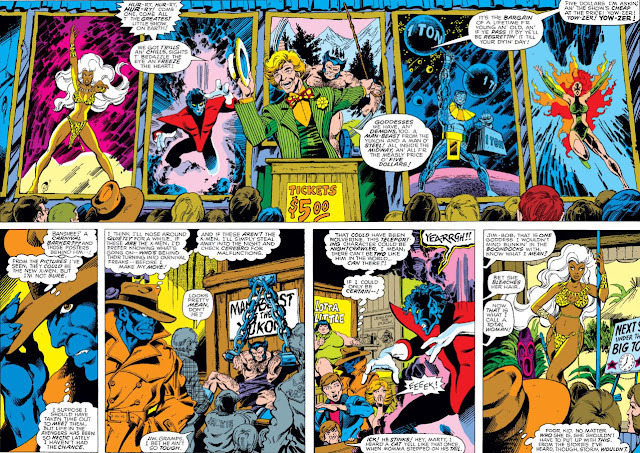 ), Hank must go into hiding and try and determine the identity of whatever foe(s) could be responsible for the state of the X-Men. But with this entire carnival on the hunt for him, his respite isn't a long one--and, thanks to Colossus, he might be on his way to joining his comrades in captivity. 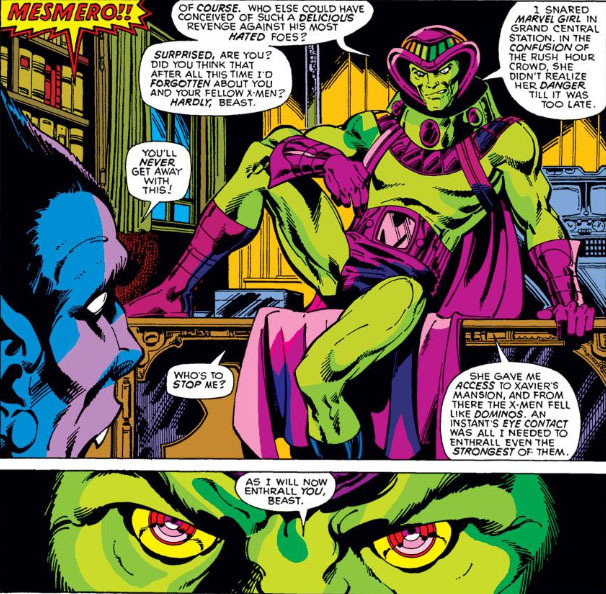 And Mesmero has every reason to be sitting pretty here, given what he's accomplished with a very powerful team of X-Men. It's also appropriate to find him thriving in the setting of a circus, as he's been known to practice much the same m.o. as the Ringmaster--a stage hypnotist who mesmerizes his victims into surrendering their valuables. 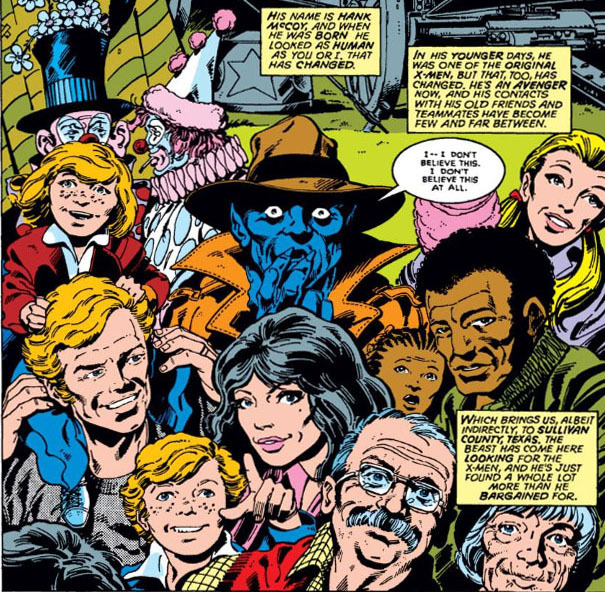 And like the Ringmaster, it seems that Mesmero heads an entire circus of criminals, though we can likely assume that he's, er, mesmerized their cooperation in light of his being a mutant. 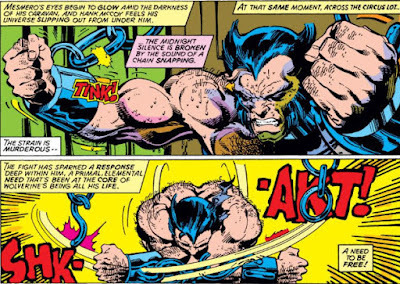 Yet when the Beast was savagely beaten and dragged off to face Mesmero, it was in view of an X-Man whose nature has reacted to the scene by rebelling against the thought of being captured and controlled. Since Mesmero has enslaved the X-Men by hypnotizing them, it makes sense for Wolverine to head for Jean first in order to use her mental abilities to free the team. 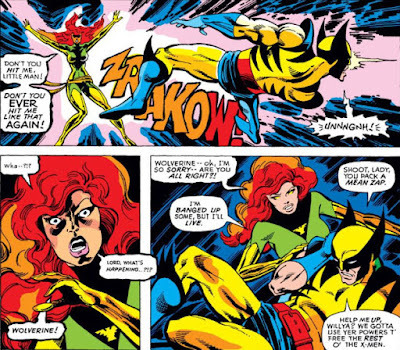 But if Jean and "Slim" thought that the sight of the Beast was a shock, their experience with Wolverine will take them to a whole new level in that regard. Wolverine's methods of shaking Mesmero's influence from Jean are admittedly shocking, and perhaps hastily reached on Claremont's part, given the writer's ongoing intent to paint Jean as having much the same wild, unrestrained nature as Wolverine--something which certainly would come as a surprise to Xavier, who has known her far longer than Wolverine in both mind and spirit. 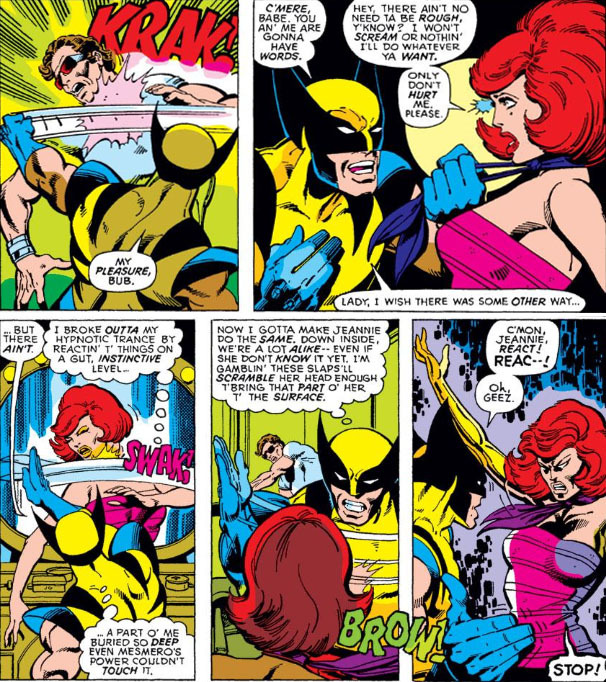 As a result, the conclusion that Wolverine reaches to determine his course of action with Jean is borderline supposition, with only his animal instincts to back up how this scene plays out--justification which seems insufficient given the savagery of his blows here, methods which Scott would almost certainly want to have further words with Wolverine about when the situation with Mesmero is taken care of. 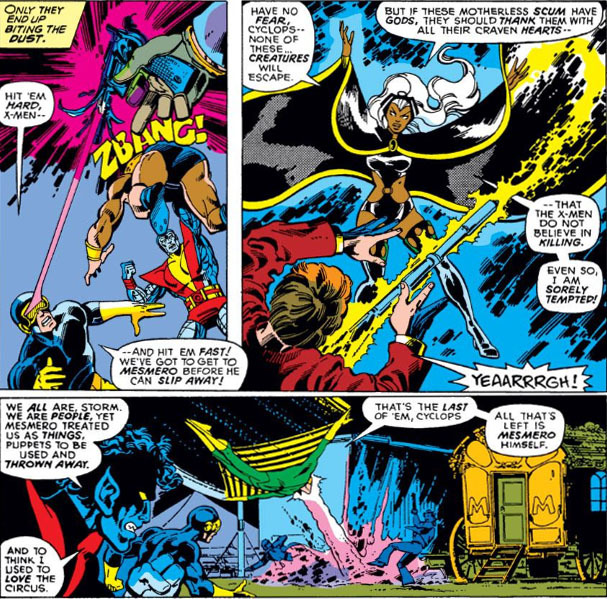 Meanwhile, Mesmero has made little headway with the Beast, even using his power at full strength--a failure which seems more of a decision on Claremont's part than Byrne's, since Byrne's depiction of the scene uses the interruption of a carny hand--bursting in and warning of the X-Men battling outside--to allow the Beast to break free and then move on Mesmero. 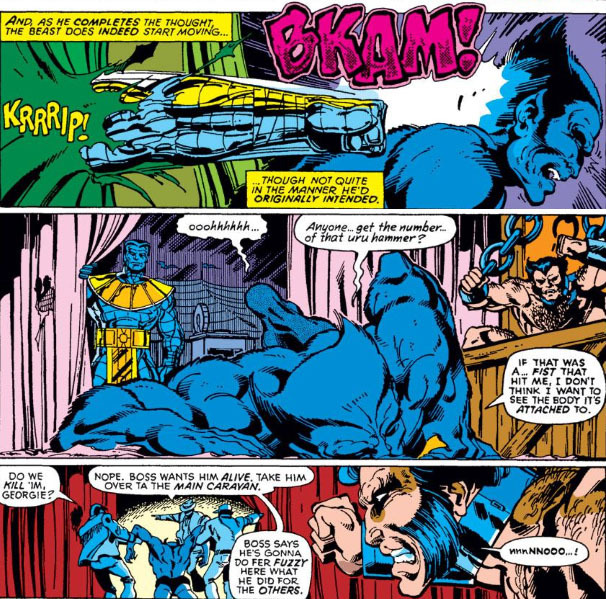 Claremont's choice to highlight the Beast's resistance is curious; after all, if Mesmero can put Wolverine under his control, there's no reason to think he wouldn't have similar success with the Beast. But, looking over the Beast's shoulders, Mesmero likely considers this X-Man to be the least of his problems. 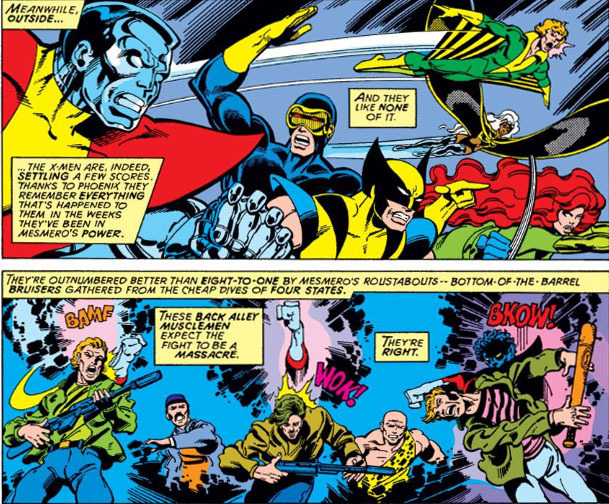 Outside, the X-Men are dealing with their captors in force, unstoppable in their surge and resolved to see Mesmero taken down. And they'll get their wish in that respect--but, in this issue's final and shocking example of the unexpected, it won't be by their hand. 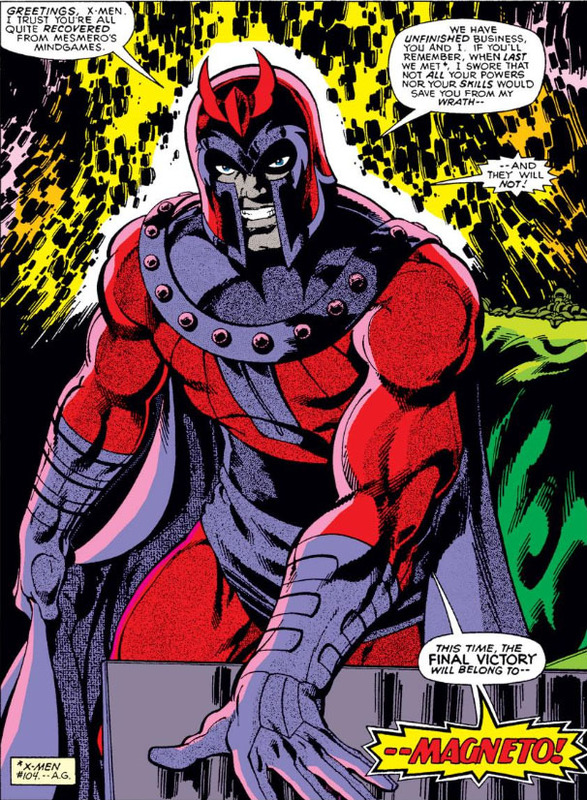 It's a closing scene which of course pushes this issue over the top, and sets the stage for the X-Men to have their inevitable rematch against Magneto, after he displayed an impressive show of strength against them in their initial meeting and effectively drove them off of Muir Isle. Yet, taken on his own merits, the story with Mesmero--the "build-up," as it were--was a clever tale in its own right, and very entertaining reading from page to page. And at 35¢, you can't beat the ticket price. 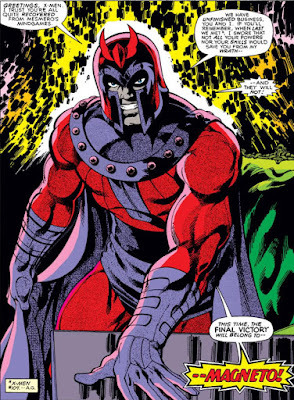 Yes this was a fun little tale, a nice appetizer for the Magneto main course to follow. It was great to see the new X-men in a circus setting, Wolverine being a circus wild man and all. Brings back fond memories! The Fates Of The Phoenix! To Battle On Yancy Street! A Call To Arms Must Include--The Swordsman!